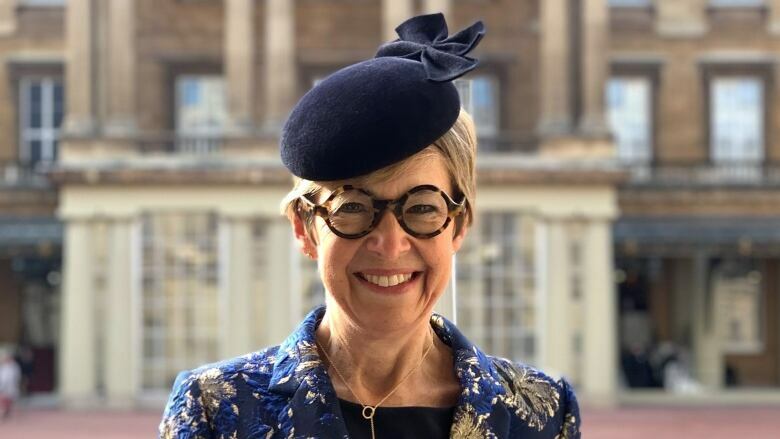 A Nova Scotia-born corporate banker and champion of gender equity in boardrooms has been awarded one of the British Empire's highest honours by Prince William. "There is nothing that can compare to being awarded the medal by Prince William in the ballroom of Buckingham Palace with all of the pomp and circumstance," she said in an email Friday. "I had to choke back the tears when I made my way to my seat with my medal." Trenowden, global chairwoman of the 30 Per Cent Club, has campaigned tirelessly for greater representation of women on the boards of the London Stock Exchange's top performing companies. She's also served as president of the City Women Network, a businesswomen's group in London, where she's also advocated for better gender balance on boards and in executive management. While she calls her advocacy work a privilege, she admitted that it dominates her life outside of work. "It's wonderful to receive such incredible recognition for it," she said. Trenowden said it was "surreal" to arrive at Buckingham Palace and go past the tourists at the front gates. "The Duke of Cambridge was very friendly, chatty and well-briefed and gave each recipient ample time and attention," she said of meeting Prince William. "He went out of his way to make everyone feel special." Trenowden's award was announced as part of the Queen's Birthday Honours in June.